When I first received the press information about Gifted, I was already hooked. It looked like my kind of film — funny, sweet, and featuring exceptionally talented actors. I was fortunate enough to see an early screening of the movie last night (#pressperks), and our theatre absolutely adored the film. I did, too. 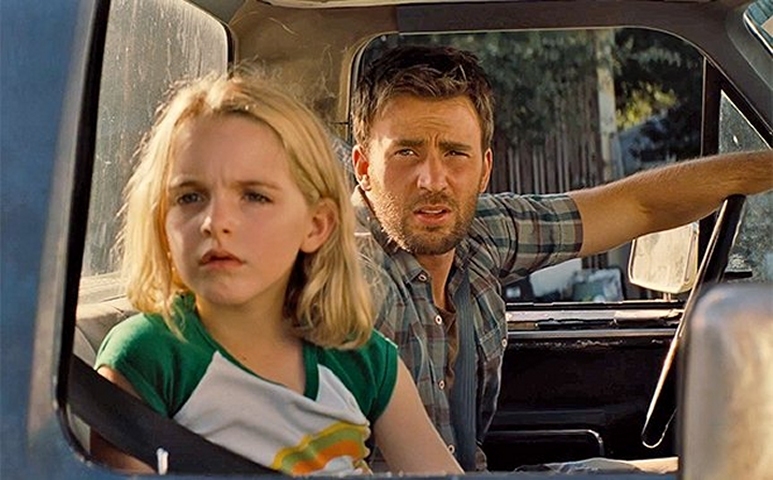 Gifted is the kind of film that’s reflective of life without being overtly cheesy or preachy. It reminds us that family isn’t just who you’re born into; it’s also who you choose. And with so many complex themes weaving effortlessly through the film, the end result is a sweet story about what it means to really love the people around you and make sacrifices for them. Note: the following contains some major spoilers for Gifted. Read at your own risk! 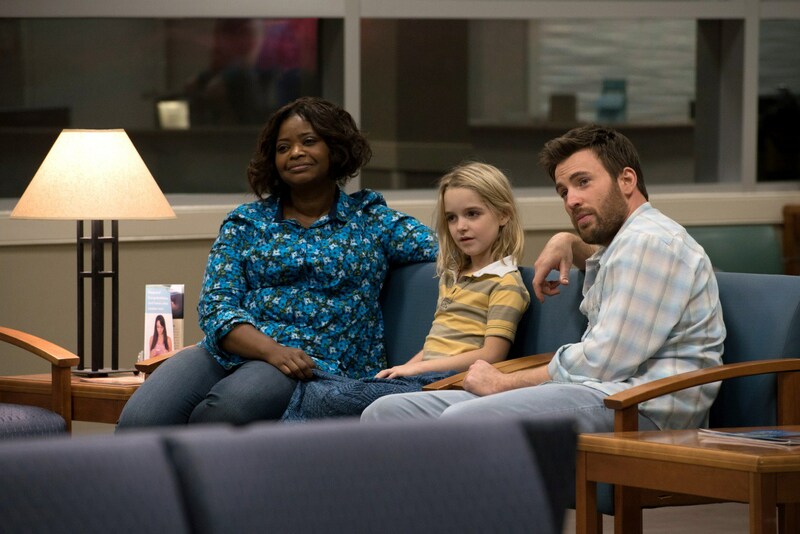 Gifted tells the story of Frank Adler (Chris Evans), a man who is raising his niece, Mary, (Mckenna Grace) after his sister’s passing. Mary is a child prodigy in mathematics, but Frank wants her to have a normal life — to socialize, make friends, and go to a normal school. Frank’s estranged mother, Evelyn (Lindsay Duncan) doesn’t see things that way. She believes that Frank is squashing Mary’s potential and that the little girl will eventually get so bored and resentful for restricting her gifts. A custody battle ensues between the mother and son, pitting family against family. I think the thing that strikes me most about Gifted is the way that the film doesn’t have a specific “villain.” Initially, we’re poised to believe that Evelyn is a villain — that all she wants to do is loan Mary out, in Frank’s words, to “think tanks, to talk nontrivial zeroes with old Russian guys.” We’re led to believe, because of Frank’s sarcasm and disdain for his mother, that she’s only doing this to benefit her. When we learn that Evelyn was also a mathematics genius, and her deceased daughter, Diane, was also one, it’s easier to understand why she wants what she does for Mary. It doesn’t excuse the way that she goes about it, but it was really thought-provoking. Evelyn sees Diane when she looks at Mary. And she sees all of the potential Diane could have had, if she had only stayed alive longer. (Diane, we learn, takes her own life.) But while Evelyn may not be heartless, she isn’t right in the way that she tries to affect Mary’s life. During the court hearing, Evelyn goes on a long-winded, angry story about how when Diane was 17, she prevented her from running away with a young man she was in love with. Evelyn even went so far as to file kidnapping charges against the young man. The reason is pretty clear: Diane was subtly seeking a sense of normalcy among her prodigy-laced, isolated life. She craved human interaction, but Evelyn thought that doing so would diminish Diane’s promise. So she subtly trapped her daughter into throwing all of herself and her life into work. It’s why what Frank says at the end of the movie hits like a punch to the gut, but we’ll get there in a bit. Based on the trailers for the film, we’re expected to believe that all of Frank’s motives are honorable. And truly, Mary is happiest with him — she’s herself, and (as she says) Frank wanted her before she was a genius. Frank acquired Mary because his sister stopped by one night with the baby. After returning home from a date, Frank found his sister on the bathroom floor, and the baby on the couch. It’s heartbreaking, but Diane’s life was marked by her genius that when she solved her problem, she had no idea what else she would do with her life. We don’t ever see Diane in the film, apart from photographs, but it’s easy to feel empathy and pain for how trapped and isolated she must have felt. Frank knew this. He partially blames himself for not really seeing it, but he understood the life his sister led and he doesn’t want that for Mary. He believes Diane wouldn’t want that for her either — that she would want her daughter to have fun and play and be a kid. Again, that doesn’t mean Frank always does what’s right. It’s stated that the reason he gained custody of Mary was because he spitefully took her across state lines, away from Evelyn. He didn’t want to have to fight his mother, so he took the baby away and raised her on his own — with help from his faith-filled neighbor, Roberta (Octavia Spencer). Frank is such a complex character. He’s extremely intelligent and it’s revealed late in the movie that prior to having Mary, he was an assistant philosophy professor. He knows the value of intelligence but also the value of normalcy. While Evelyn accuses him of wanting to bury Mary’s gift, part of that is true. On her first day of school, Frank tells Mary not to show off. But show off she does, by proving to her teacher (Jenny Slate) that she can do complex math in her head. While it’s easy to see the humanity in Evelyn (a presumed “villain” in this story), it’s also easy to see the flaws within Frank. He’s stubborn and sarcastic, and in some ways, he does tell Mary to pretend to not fully be who she is. But he’s loving. He’s the one person who is willing to make sacrifices for Mary in this movie. His life is forever impacted by that little girl, and watching Evans portray such a damaged, broken character who is bettered by the love of a child is satisfying. The twist in the movie comes when the custody arrangement is reached — a compromise has to be made, and neither Evelyn nor Frank get to keep Mary. She, instead, is sent to a foster family about 25 minutes away from where Frank lives. Evelyn tells him, coldly, that it’s better than what Mary had when she lived with him. But, spoiler alert, Frank learns within a few weeks that the foster family isn’t exactly an impartial third party in this arrangement — Evelyn is staying in their guest house, hiring tutors for Mary without Frank’s consent or knowledge. I was actually genuinely surprised by the revelation, and our audience was too. It was another example of the ways in which Mary was being manipulated by her grandmother. But then something happens — Frank presents Evelyn with the paper that Diane finished on her millennium problem. Evelyn is in disbelief, because Diane didn’t finish. She couldn’t have. She would have published it and told the world. Then Frank reveals a harsh truth: Diane made him promise to not publish the paper until Evelyn died. Frank tells Evelyn that she gets to now spend the rest of HER life defending Diane’s conclusion and cementing her legacy. Which means that Frank gets to raise Mary, because Evelyn won’t have time for that. As Frank leaves to let Evelyn decide what she wants to do — raise Mary and forfeit the paper, or call MIT and begin the process of defending it to the mathematical community — the woman breaks down. It’s an intensely intimate and touching scene, because she rummages through a box and finds all of Diane’s handwritten notes. Evelyn hasn’t really grieved the loss of her daughter, properly. Despite all of her flaws, Evelyn loved Diane the best way she knew how (even if it wasn’t the right way) and this paper is the last thing connects the two of them. Gifted might be predictable in a lot of ways (there’s a happy ending, of course; the romance between Frank and Mary’s teacher, Bonnie, is pretty predictable but made more endearing because of the chemistry between Evans and Slate), but it’s elevated by the acting between Evans and Grace. Both are exceptionally talented, tapping into those emotional moments with relative ease. Our theatre was collectively sniffling at a few different places toward the end. Both also nail the deadpanned humor that the film has (the line that got the most laughs in our screening is a line delivered by Mary to Bonnie). Chris Evans might be the big draw to this film — and his performance is exceptional, so you should see it if you’re a fan of his — but make no mistake: Mckenna Grace is its star. This young actress carries every scene she’s in with the kind of grace (no pun intended) and poise of an actress three times her age. She’ll make you laugh and she’ll yank at your heartstrings. Her facial nuances and comedic timing are exceptional, and there’s one scene in particular where she’s screaming and crying that will have you dissolved into a puddle of tears. The chemistry between Evans and Grace was important to nail, because I needed to believe these two were pseudo-father/daughter. And that chemistry exceeded my expectations. So while it might not be revelatory, Gifted is a heartfelt film about love and sacrifice and family. Bring tissues, but prepare to leave the theatre feeling a sense of hope. And that’s the most I can ask for after seeing a movie. Wow I love your synopsis + review + explanation!